This room is where the Gentleman of the house could retreat to study his maps, read, take a drink of brandy and sort out his household affairs. His room has a desk and chair, and a chippendale bookcase, well stocked with books and plenty of maps. 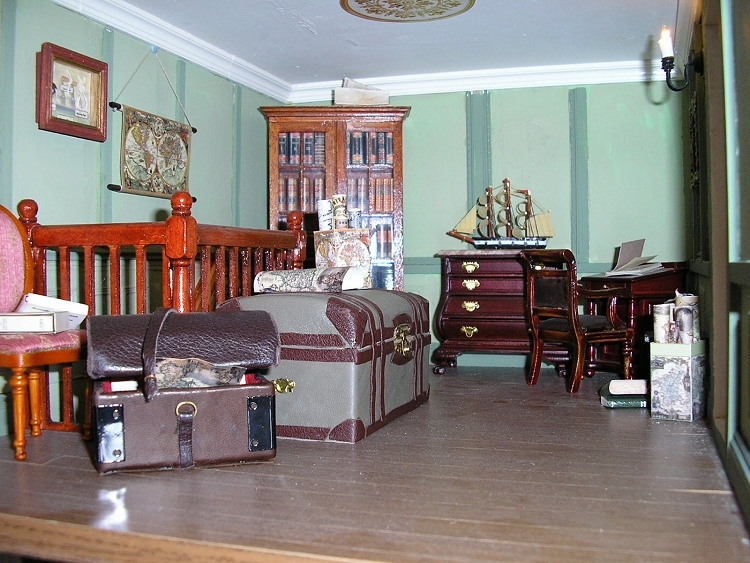 He has an interest in all things nautical and would have plenty of sea-fairing items around the room.